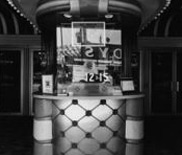 Bijou “Bijou” is a boxed set of twelve black and white prints that depict selected box offices in front of Los Angeles movie theaters. I produced twenty-five numbered sets and two artists proof sets in 1975. Color photos of box offices may be viewed in “Movie Palaces”. 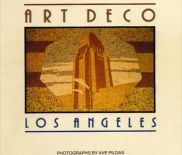 Art Deco Los Angeles in the twenties and thirties was a city of myth by the seaside. It was a time of boom, of flamboyance and experimentation, and this new city, assisted by a huge public relations program, drew into its envrons the talented and ambitious, including the designers and architects who would create a unique testament to the Art Deco style. Wright, Neutra and Schindler were practicing in Los Angeles at the same time as the Art Deco architects Beelman, Clements, Wurdeman and many others. Animal Antics b/w “Animal Antics” documents my observations over forty years of humans all over the world interacting with animals. We love them as pets, revere them as creatures of nature, gawk at them in zoos, consume them as food, hunt them as sport, display them as trophies and adorn ourselves with their skins and fur. They serve us in many ways. My subjects include not only living specimens, but also our representations of animals and monuments to them. The images are inspired by my love of animals plus the work of Nick Brandt, Elliot Erwitt and William Wegman. 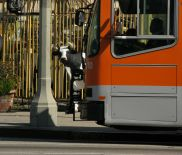 “Animal Antics” documents my observations over forty years of humans all over the world interacting with animals. We love them as pets, revere them as creatures of nature, gawk at them in zoos, consume them as food, hunt them as sport, display them as trophies and adorn ourselves with their skins and fur. They serve us in many ways. My subjects include not only living specimens, but also our representations of animals and monuments to them. 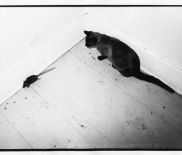 The images are inspired by my love of animals plus the work of Nick Brandt, Elliot Erwitt and William Wegman.